16oz Ceramic Latte Mug is rated 0.00 out of 5 based on 0 ratings. 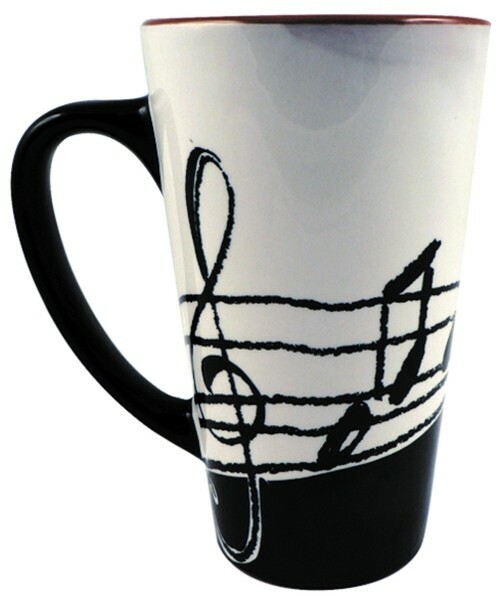 This 16oz ceramic Music Note Latte Mug will hold a lot of coffee. These baked in musical notes will never fade and look fantastic against the deep cocoa color glaze inside. A perfect gift for those who love music and that early morning cup of joe or johann, whichever the case may be. 6" tall, 3.5" across the top.